Paul Marchment of Arval has been added as the latest speaker to the Vehicle Remarketing Association’s major free seminar, “The Challenges of 2019.” He will be talking about Arval’s hydrogen car programme, which is claimed to being the most advanced currently underway in the UK. 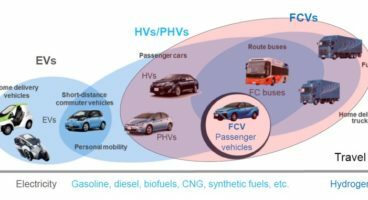 The leasing giant is half way through a three-year assessment of hydrogen as a practical automotive option and Paul’s presentation will explain how it works, details about the vehicles available, examples of the user experience and how hydrogen is likely to develop as a car and commercial vehicle technology in the future. Paul said: “Our UK headquarters are based in Swindon and we are part of something called the Hydrogen Hub, a three-year exercise sponsored by the Government to look at the possibilities of the hydrogen economy in our area, covering not just vehicles but industrial and domestic use. Paul has worked in the motor industry for 26 years, spending two of these as a fleet manager before joining Arval 19 years ago. He has held positions in finance, operations and marketing and was also a member of the company’s consultancy team for eight years, guiding customers on fleet management best practice. Other speakers at the seminar, which is being sponsored by Manheim, include Mike Allen of Zeus Capital on the current state of the used car market and how it is likely to develop next year; Jonathan Butler of Geldards on the latest ASA developments for dealers; Philip Nothard of Manheim on fuel trends; Denis Keenan of KeeResources on WLTP; Owen Edwards of Grant Thornton on dealer economics and; Paul Marchment of Arval on hydrogen cars. The event is taking place at Cranmore Park Exhibition Centre, Solihull, on November 22nd, and is designed to provide a complete briefing about all of the major trends and legislative changes affecting businesses involved in car and van remarketing including fleets, dealers and suppliers in a compact, four-hour format. Attendance is free to all VRA members and anyone who is working in any part of the automotive sector. Places are going quickly, so please let us know whether you will be attending on info@thevra.co.uk.